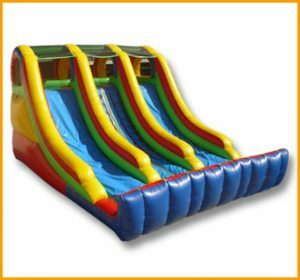 This gigantic inflatable 22′ front load double lane slide will have children of all ages climbing and sliding down for hours and hours. This gigantic inflatable 22′ front load double lane slide will have children of all ages climbing and sliding down for hours and hours. 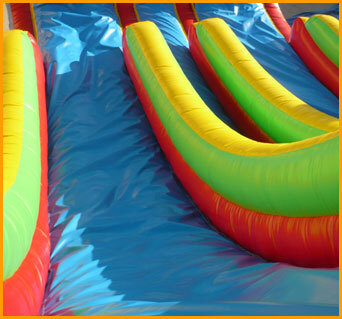 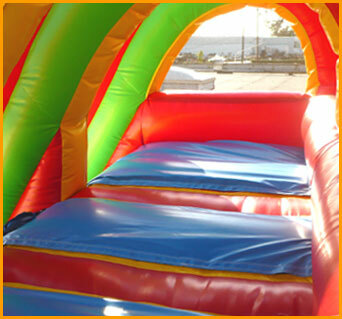 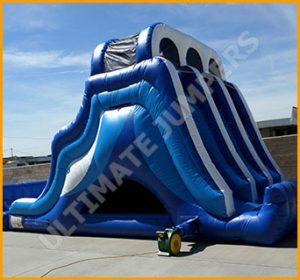 This inflatable slide manufactured by Ultimate Jumpers will accommodate any party or event starting, from carnivals to birthday parties to pumpkin patches. 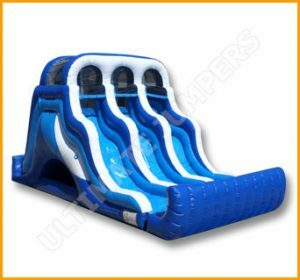 The colors of this slide may be changed depending on your needs; just ask a sales associate to help with the color scheme. 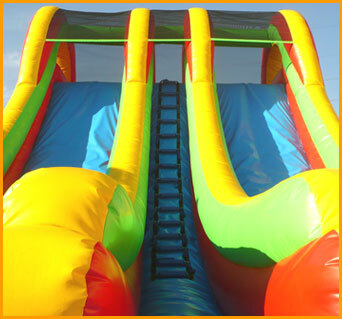 This slide comes with a 3 year warranty, just like all of the dry slides.